Kelvin D. Hagwood was born October 31, 1966 to MaryJo and the Late James Hagwood in Columbus, Ohio. Kelvin attended Marburn Academy and received his diploma June 8, 1987. He was a former employee of ARC Industries, South. 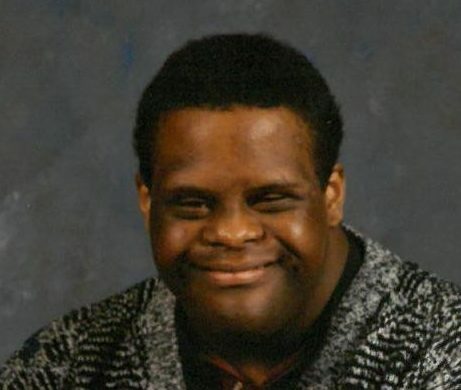 Kelvin was a happy person who enjoyed watching a variety of TV shows. He enjoyed listening to country music and sometimes played his guitar along with songs. He had a large collection of wrestling men, although he did not watch wrestling. After a lengthy illness, the Lord called him into Eternal Rest on January 6, 2018. He leaves to cherish his precious memory with mother MaryJo Hagwood, sisters Cathey Dunham, Lynetta Hagwood, brothers James, Jr., and Clarence Hagwood, nieces Shaphon and Kwanda Brown, Charlita Perez, nephews John Dunham, and a host of aunts, uncles, and other relatives and friends. Visitation 11:00an and Funeral 12:00pm Tuesday, January 16, 2018 at MARLAN J. GARY FUNERAL HOME, THE CHAPEL OF PEACE NORTH, 2500 Cleveland Ave.